Most come with clever Active Scan Suspension that reads the road ahead and adjusts the suspension accordingly. Hybrid from 2019. Looks a bit peculiar. Noisy diesels. Not as good as rivals in many areas. Active Scan Suspension is less effective than deeper profile tyres. 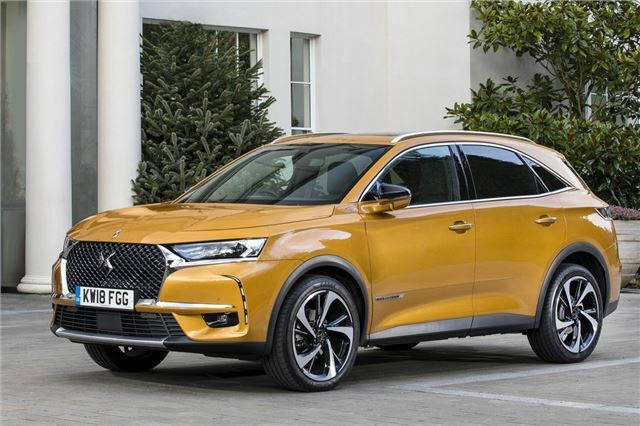 It was easy to be sceptical when Citroen's upmarket DS brand was launched as a standalone entity in 2014. Who would buy a posh Citroen over the likes of Audi, BMW and Mercedes-Benz, especially when its line-up included the lacklustre DS4 and peculiar DS5? DS has been desperate for a new model - one that's never been sold with a Citroen badge. 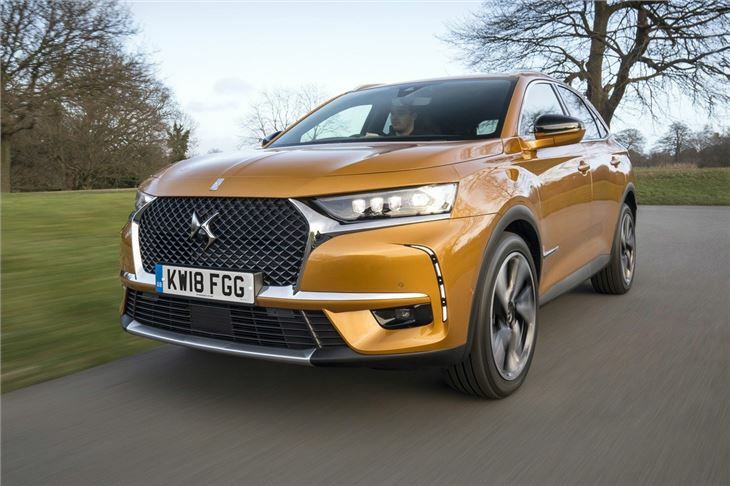 Enter the DS7 Crossback. 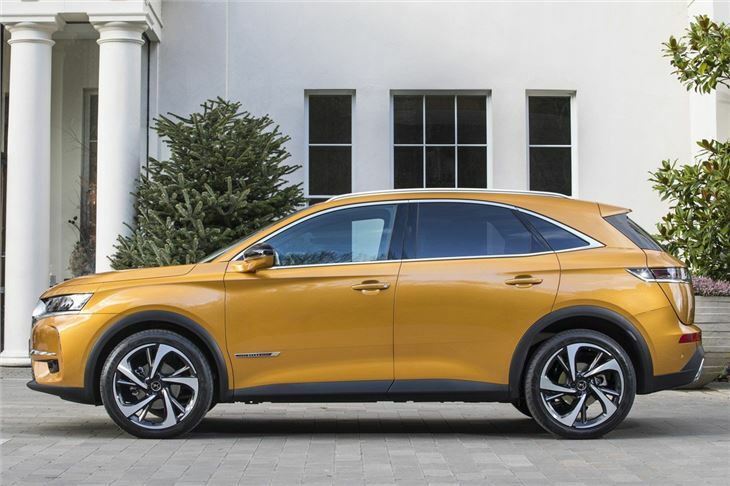 A premium SUV that shares a platform with the Peugeot 3008 and Vauxhall Grandland X, the DS7 is intended to rival the Audi Q3, BMW X1 and Volvo's brilliant new XC40. So how does the DS7 stand out? For a start, it looks like nothing we’ve seen before from DS. There's more than a hint of Audi Q3 about its appearance, but details like ‘hypnotic’ 3D rear lights and divisive Byzantin Gold of our test car means it attracts a lot of attention on the road. It’s big, too - at more than 4.5 metres long, nearly 1.9 metres wide and over 1.6 metres high, it’s bulkier than most rivals. The DS7’s large dimensions provide a spacious interior, with a huge 555-litre boot and enough space to carry both front and rear passengers in comfort. 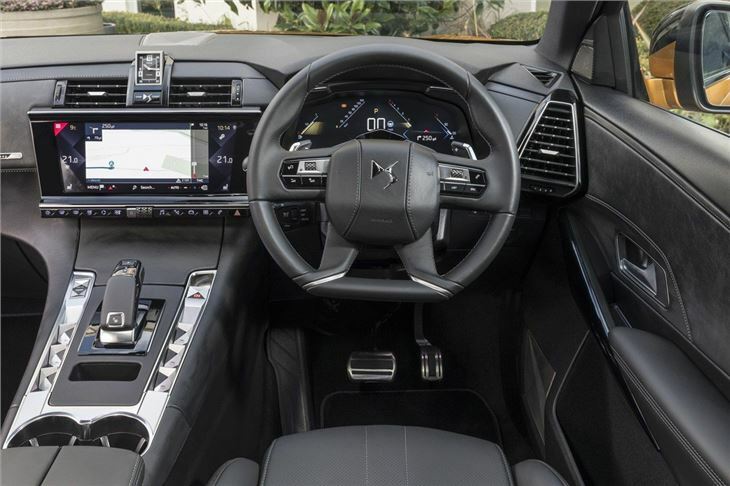 Like the exterior, the DS7’s interior feels very different from any other car on the market, even if Peugeot-Citroen acificionadoes might spot a few obvious PSA Group features. 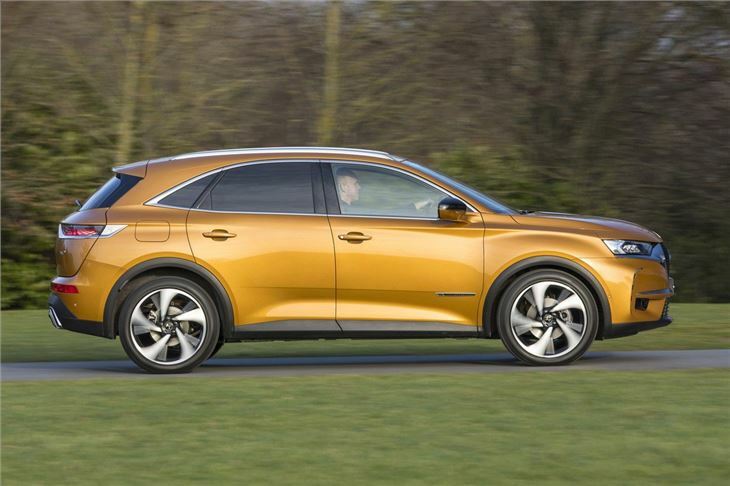 To drive, the DS7 is clearly designed with comfort in mind rather than sportiness. There’s excellent visibility and it’s perfectly civilised to drive as long as you leave it in Normal mode. While the engines we’ve tried have all been fine, the diesels are noisier than you may expect from a car that’s attempting to tempt BMW and Mercedes-Benz buyers in the premium sector. 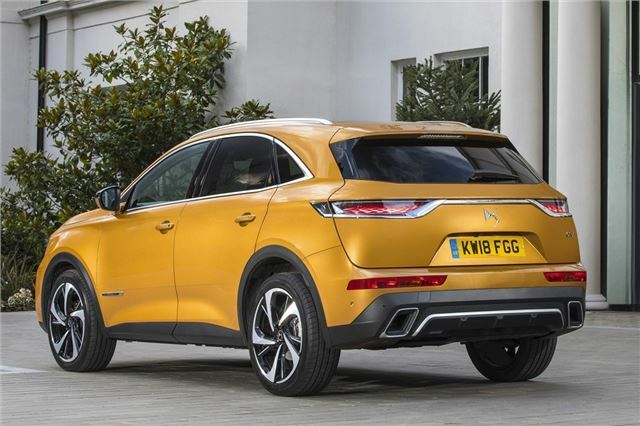 The DS7 could easily turn heads as a motor show concept car, so it does an excellent job of standing out in a world of very good if slightly bland premium vehicles. The interior is unusual - if not quite up the high levels of perceived quality we’d expect from a car in the class. 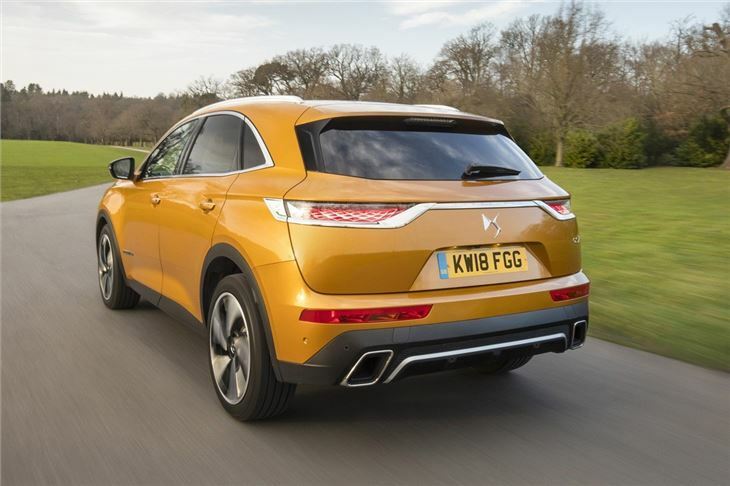 Unfortunately for DS, while the 7 Crossback has more redeeming features than the DS4 and DS5, we suspect it's going to remain quite a niche model.